It doesn’t matter if they are destined to be programmers, engineers or even anything that has to do with computers. The basic building blocks they’ll gain by learning how to organize thoughts and instructions logically is a critical skill all people should have. Learning to code teaches a person how to think logically and introduces computational thinking to any age. For a long time we’ve suggested incorporating games and toys which stimulate learning through coding. Whether you’re creating a DIY STEM project or discovering through a code programming series, there are numerous ways to expose your kids to the concepts and ideas that a logical programming lesson can provide. Case in point – you know we love to play games as a family. 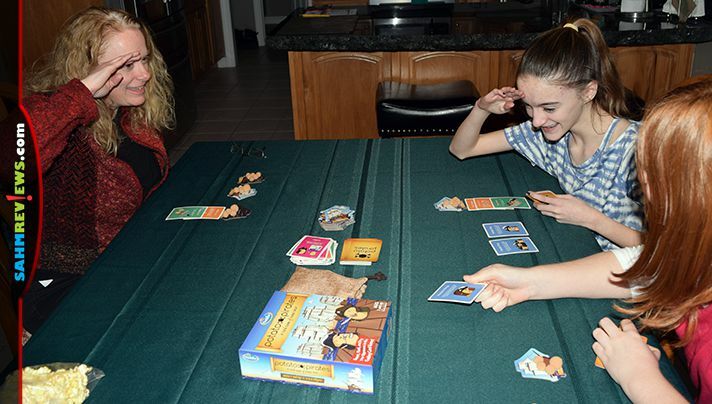 The new Potato Pirates by ThinkFun is a great example of sneaking in coding concepts disguised as a multi-player game. Their recipe? Take one part Battleship game, one part coding lesson and mix them in with a bunch of pirates that look like potatoes! The result? Potato Pirates! 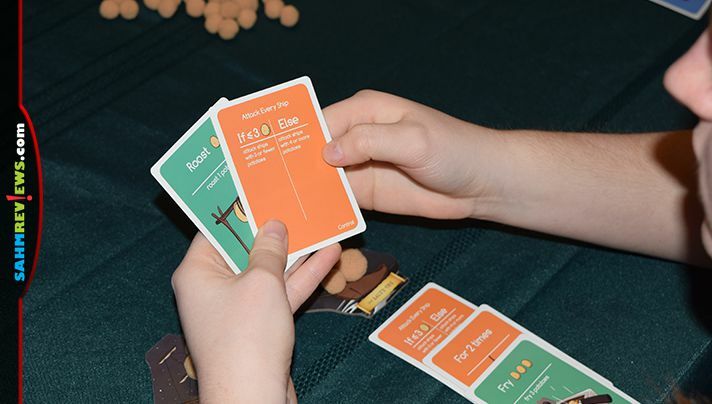 Designed for kids ages 7+, Potato Pirates is a quick card game for up to six players that requires everyone to create a “program” using the included cards to destroy the other players’ ships or capture their Kings. 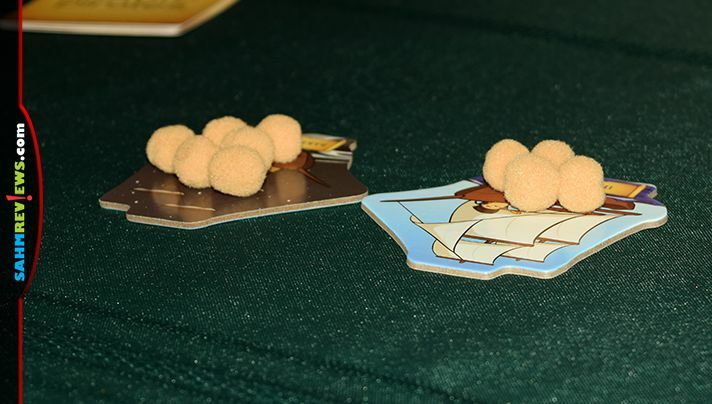 At the beginning of the game each player receives two cardboard galleons, five playing cards and a crew of 20 potatoes (potato-colored puff balls). The ships are set on the table in front of each player with their “Anchor Mode” side face-up. The remaining cards and any ships are set in the middle of the play area. 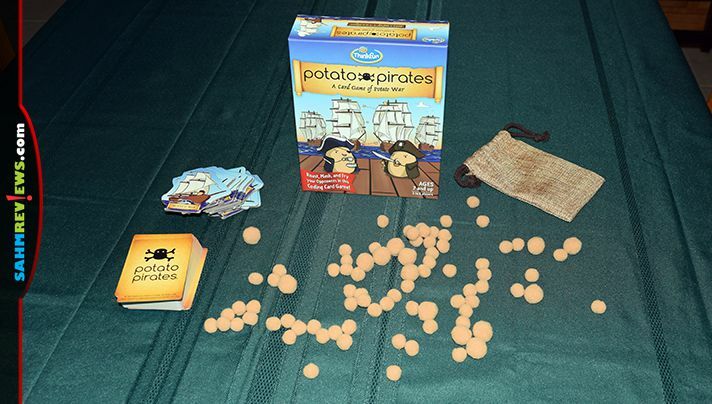 In order to win a game of Potato Pirates you must do one of two things. 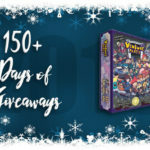 Either eliminate all the other ships in possession by other players or acquire all seven potato Kings by drawing them from the deck or eliminating other players and seizing their Kings. The first thing you’ll do on your turn in draw two cards. Each of your ships can hold up to three cards and you’ll play them to the table to create a “Function”, keeping in mind the order you would like them to be resolved. 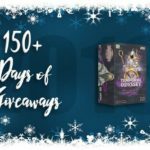 There are three types of cards, Surprise, Control and Action. Control cards are played first and boost Action cards by setting conditions or boosting the number of times an Action card will be resolved. 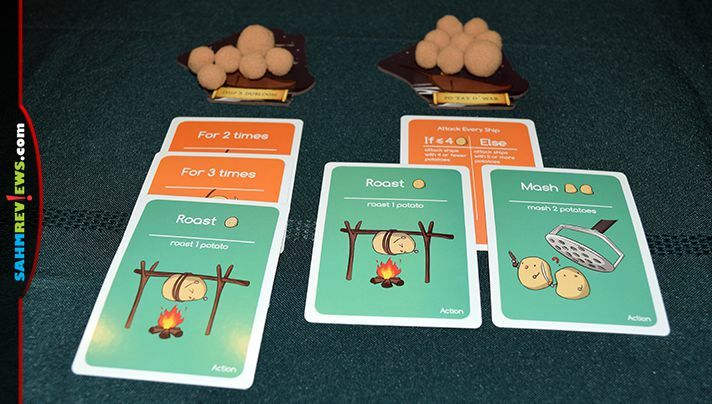 Action cards are just that – they perform an action, usually frying or mashing the opponent’s crew (they are potatoes, after all…). Surprise cards are used to interrupt another player’s “program” and can be played at any time. Instead of building or modifying your ship’s function routine, you can choose to run the program by turning the ship to Battle Mode (flip it over) and playing the cards on the ship. You may attack any other ship, even it is still in Anchor Mode. Each attack can only be executed on one enemy ship, even if your attack exceeds the number of potatoes on it. The enemy ship loses the corresponding number of potatoes and your cards are discarded. If the enemy ship loses all of its crew, it sinks and is removed from the game. All cards on that ship are also discarded. If you manage to sink an opponent’s last ship, they are eliminated from the game and you receive all cards in their hand, including any collected potato Kings! On the next turn can flip your ship back to the Anchor Mode side and begin working on a new function. At any time you can also use five of your potato crew to buy a new ship. Four of your crew are returned to the pool while the fifth one becomes its new Captain. There is no limit to how many ships you can own, except for the fact there are only 16 total available in the game. And remember, the more crew you have on a ship the less likely you are to be sunk. Don’t spread your crew too thin! And let’s not forget about the potato Kings! There are seven in the deck and you can win by collecting them all. When you draw a King from the deck or loot one from another player, you must immediately exclaim, “All Hail!” Other players still in the game must then also yell out “Potato King!” and salute you! The last player to do so must send two of their crew over to your side! Some of the basic programming theories incorporated in Potato Pirates include For Loops, While Loops, Conditionals, Interrupts, Boolean and Sequential Logic and Bugs. A handy appendix in the back of the rule book helps you discuss these definitions and show you how they are incorporated into the game to hopefully spur discussion with your child. They’ll be surprised to discover they’ve been learning coding as well as playing a game! 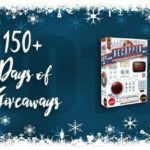 This introductory coding lesson can be found at many big box retailers as well as on Amazon for under $15! 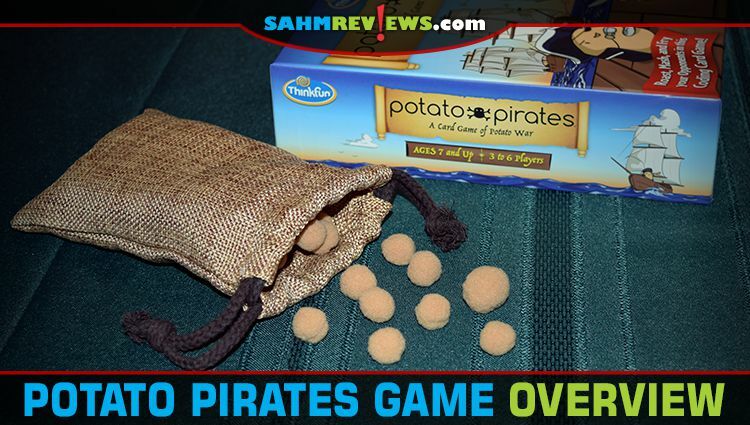 Potato Pirates is the latest in a long line of coding-themed products by ThinkFun, and certainly won’t be their last. Check out their website to learn about all the others they’ve created. 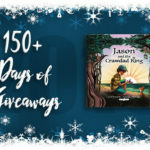 Then come back and enter to win a copy of Potato Pirates for your family! My favorite are baked potatoes. I like any kind of potatoes, but loaded baked potatoes are my special favorite! I’m a sucker for some good home fries! 5 Guys Fries are the best! Baked, covered in broccoli and cheese! My husband makes a great batch of fried potatoes.